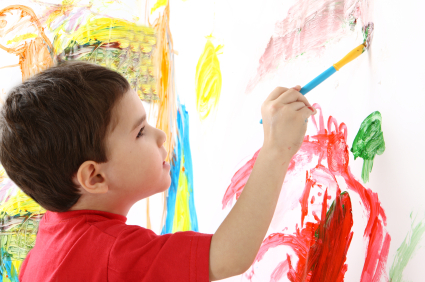 Play Therapy is based on the notion that Play is a child’s natural mode of self-expression. The playroom becomes synonymous for the child’s language and the toys become the child’s words. Play Therapy is a well-researched, developmental and psycho-therapeutic treatment method used to assist children between the ages of approximately 2-13 years to cope with, feel empowered and overcome difficulties that they are faced with. The therapist and the child enter a safe, sacred and therapeutic space – the special playroom – which is equipped with specific toys to encourage expressing underlying feelings, experiences of their inner and outer world, as well as themes through the medium of play. Children do not have the language ability and cognitive understanding to express what they are experiencing, thus the mode of play becomes a non-threatening, safe medium of self-expression and for experiences to be re-played in the play therapy room. A child is given the opportunity to play out a range of feelings and experiences such as tension, frustration, insecurity, aggression, fear, rage and confusion in a safe and therapeutic environment by using toys symbolically. By free expression and playing out these feelings and experiences, the child brings them to the surface, gets them out in the open, faces them, learns to control them, cope with them, gains symptom-relief, understands them, or lets them go. By expressing themselves symbolically in their play, children have a space to distance themselves from difficult feelings, memories and experiences. They have a space away from caregivers where they can express and come to terms with their feelings without worrying that they may be bad or get into trouble. Through the Play Therapy Process, a child begins to realise the power within to be a separate individual, to think and make decisions independently, to become psychologically more mature, and by so doing, to realise individuation. Significant adults in the child’s life can then feel more empowered to offer appropriate support to encourage healing and coping. It is vital that your child’s emotional and behavioural difficulties be dealt with at an early stage. Lack of treatment may result in the child becoming more distressed, the problem escalating to family, academic and social life. Note if your child displays a change in behaviour for at least 2 weeks (such as withdrawal, moodiness, aggression) after a stressful life event (such as death, divorce, relocation, new school, birth of a sibling), it would be recommended that your child be referred for either an assessment or Play Therapy. Your child’s behaviour may not be due to a stressor, but lacks skill (such as self-regulation, or self-expression) which may also require assistance. How often should my child attend therapy? Research and professional experience indicates that it takes about 16-20 sessions to work through the presenting concerns of your child entering the therapeutic treatment process. The Play Therapy duration will depend on the presenting concern, your child’s temperament, learning and integration, as well as your family and larger system working together. The Play Therapy Process is based on consistency and predictability, which builds a sense of safety, trust and builds your child’s inner ego. Your family is vital in your child’s healing process as your child and family heal faster when you all work together. Your child’s Play Therapist will give feedback to you as caretakers, to assist in resolving your child’s concerns and to monitor your child’s healing progress. Your Therapist will decide with you how and when to include your family in the Play Therapy Process. Our Play Therapy approach takes place in 4 phases over an average 16-week cycle. In the Exploration Phase, your child explores the therapeutic setting, the process and a therapeutic relationship is established. The Limit-setting Phase allows your child to develop self-esteem by testing the therapeutic setting as well as testing limits outside of the setting. Your child is taught to make choices with consequences in order to gain inner control, yet never rejected no matter what choice is made. In the Dependency Phase, the therapeutic process intensifies and this is usually the space your child learns to master skills. Approximately 4 sessions are needed to prepare the child to terminate therapy and to integrate the healing process. Our trained psychologists prefer to draw on different approaches of Play Therapy to assist and meet your child’s needs. Several therapeutic tools are used based on the direction of the child. This approach offers an opportunity for your child to experience growth and healing through the security of the Play Therapy room where your child is the most important person, and is in command of the situation and of himself, where no one tells him what to do, or pries into his private world, he suddenly feels that here he can unfold his wings; he can look squarely at himself, for he is accepted completely; he can test out his ideas; he can express himself fully; for this is his world, and he no longer has to compete with such other forces as adult authority or rival contemporaries or situations. He is an individual in his own right. He is treated with dignity and respect. He can say anything that he feels like saying – and he is accepted completely. He can play with the toys in any way that he likes to – and he is accepted completely. The presence of an accepting, understanding, and friendly therapist in the playroom gives him a sense of security. The therapist is sensitive to what the child is feeling and expressing through his play and verbalization. The therapist reflects these expressed, emotionalized attitudes back to him in such a way as to help him understand himself a little better. The therapist also conveys to him the feeling that she understands and accepts him at all times regardless of what he says or does. Thus the therapist gives him the courage to go deeper into his innermost world and bring out into the open his real self. It is a challenge and something deep within your child responds to this clearly felt challenge to be – to exercise this power of life within himself, to give it direction, to become more purposeful and decisive and individual. He tries it out – cautiously at first – then as he feels the permissiveness and security in the situation, he sets forth more boldly to explore the possibilities of this arrangement. The psychological resistance that he used to encounter is gone. The therapeutic value of this kind of psychotherapy is based upon the child experiencing himself as a capable, responsible person in a relationship that tries to communicate to him 2 basic truths: that no one ever really knows as much about any human being’s inner world as does the individual himself; and that responsible freedom grows and develops from inside the person. The child must first learn self-respect and a sense of dignity that grows out of his increasing self-understanding before he can learn to respect the personalities and rights and differences of others. He would not talk. He would not play. Judged mentally defective, he was oblivious both to other children and to his teacher; in reality he was a brilliant, lonely child trapped in a prison of fear and rage, a prison from which only he could release himself. And, through psychotherapy and love, he did.